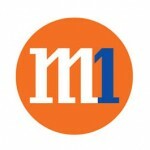 Singapore’s fibre broadband speeds got bumped up to a mind-boggling 10Gbps today, as M1 became the first to unveil a service that is, on paper, at least 10 times faster than previous offerings. Aimed at businesses such as data centres, financial institutions, other carriers and cloud service providers, the service provides enough bandwidth, for example, for high-volume transactions and traffic online. M1 did not disclose the price for this ultra-fast offering, which trumps previous 1Gbps services by the likes of StarHub, except to say it will be competitively priced. But the move does signal the smallest of Singapore’s Big Three operators’ intention to muscle into an increasingly competitive corporate market. As fibre broadband technology matures along with cloud-based applications, enterprise customers and vendors providing online services are looking to new ways to connect up users. Many are hoping that the same intense competition that has seen prices plummet and speeds boosted in consumer plans to be replicated for corporate users as well. M1 seems to be firing a mighty salvo today in that direction. It had earlier also offered a 1Gbps service that costs S$ 996 a month, along with a 500Mbps service at S$ 498 a month, in a bid to challenge traditional rivals SingTel and StarHub. Part of the reason for the optimism among telcos is the recent push by the government to get businesses to adopt fibre broadband services, which would enable them to take advantage of an increasing number of cloud-based services. They can now get up to S$ 120 off their monthly fibre broadband plans, for two years, if the speeds are at least 100Mbps. Plus, if they open up some of that bandwidth to run public Wireless@SG hotspots, they get another S$ 2,400 subsidy to set up the required equipment (details at the Singapore Budget 2014 website). To take advantage of this, the M1 1Gbps plan will include Wireless@SG access to guests. This enables high cost of the broadband service to be defrayed partly through the government grant.